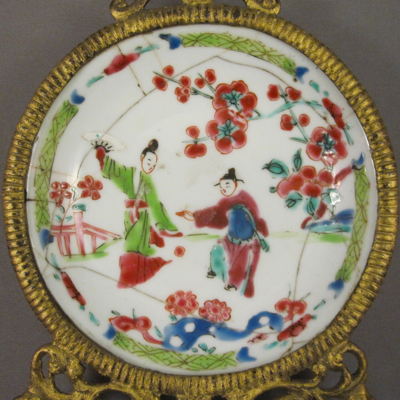 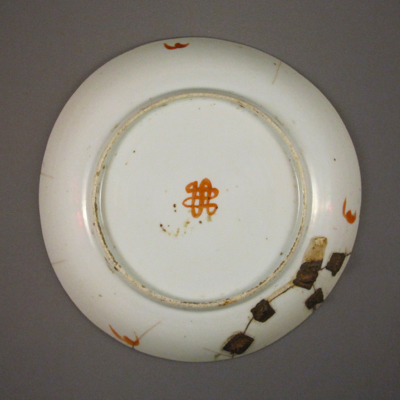 This octagonal porcelain armorial plate measures 8.5 inches in diameter and was made in China for export to England in the mid 1700s. 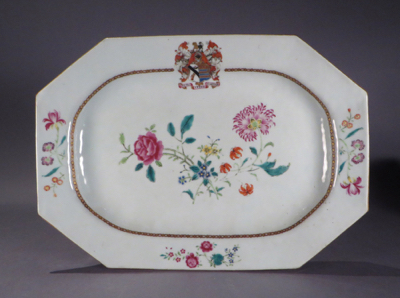 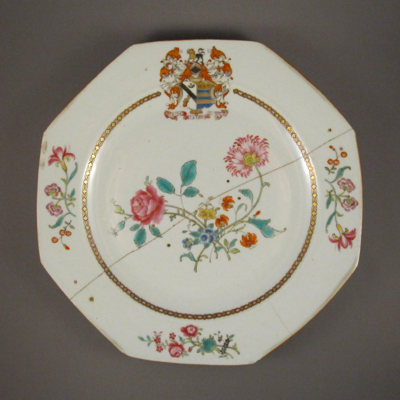 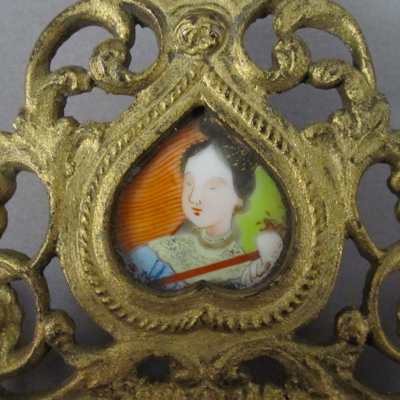 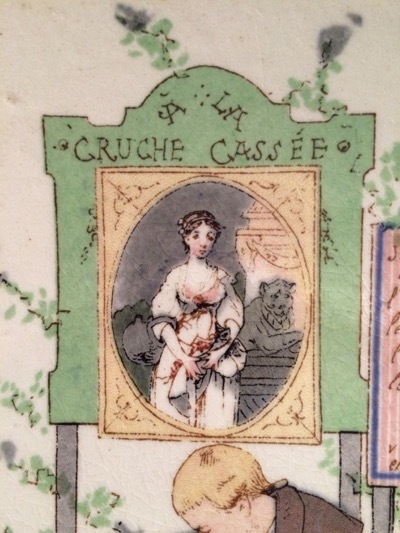 It has floral decoration in the famille rose palette with gilt highlights and features a prominent coat of arms. 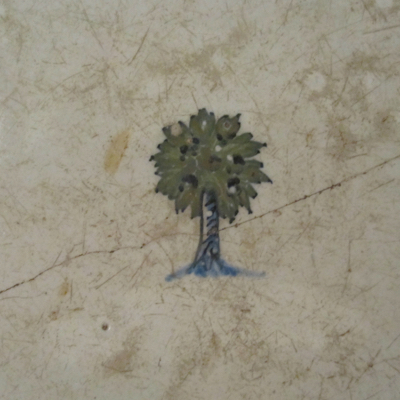 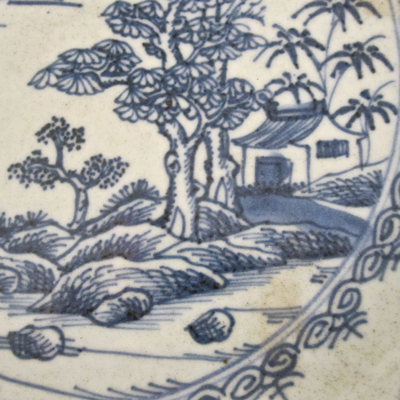 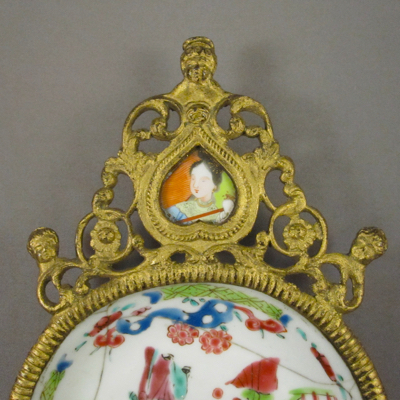 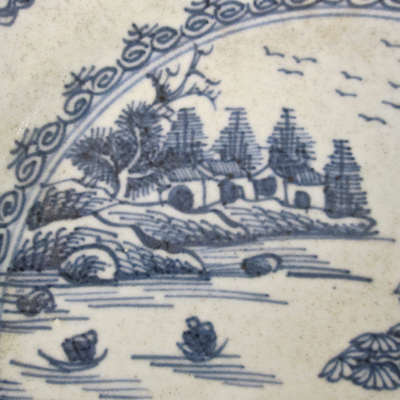 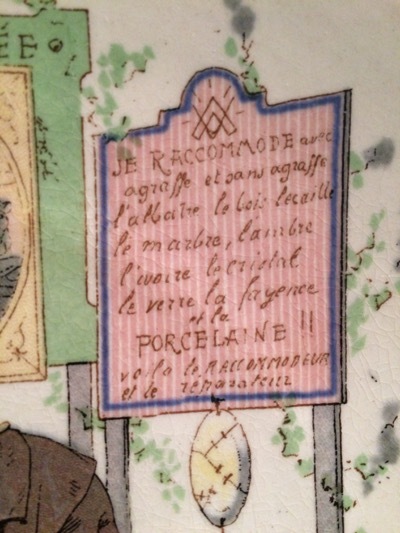 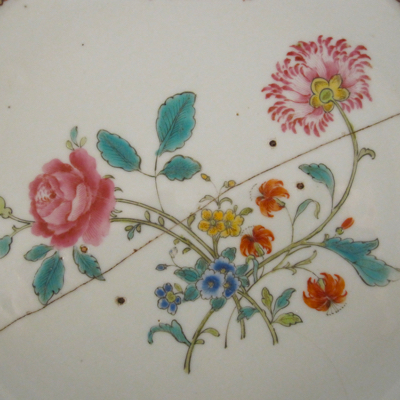 It was part of a large dinnerware service, consisting of hundreds of matching pieces, each with the same hand painted decoration. 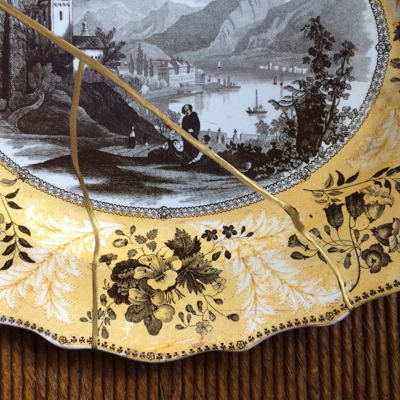 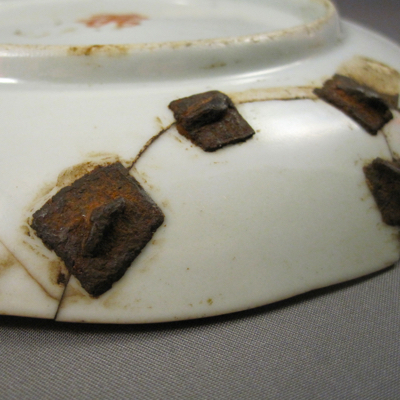 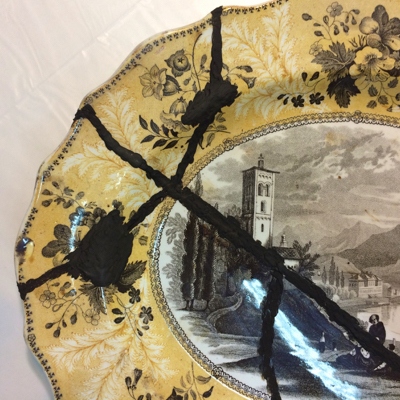 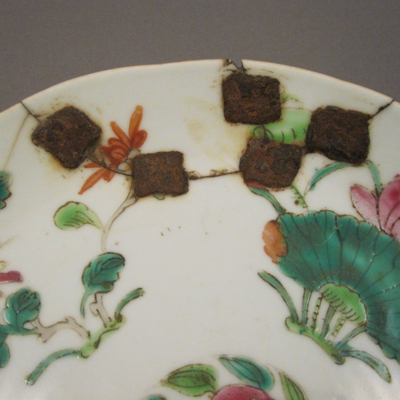 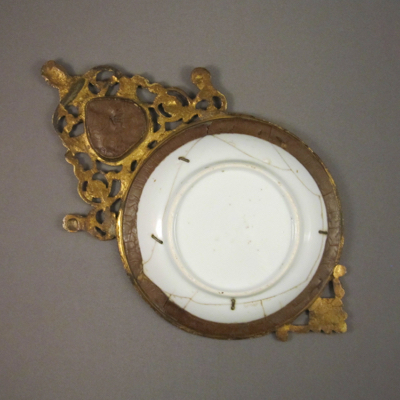 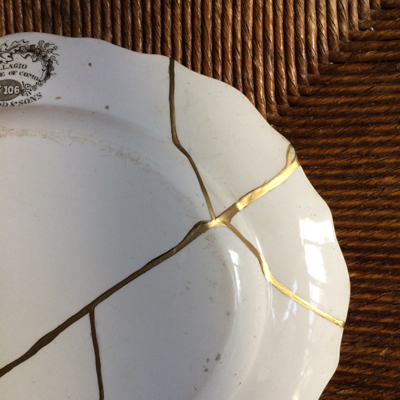 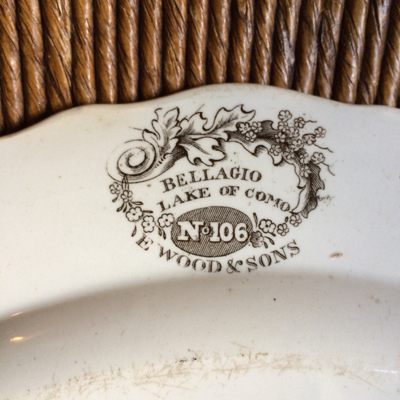 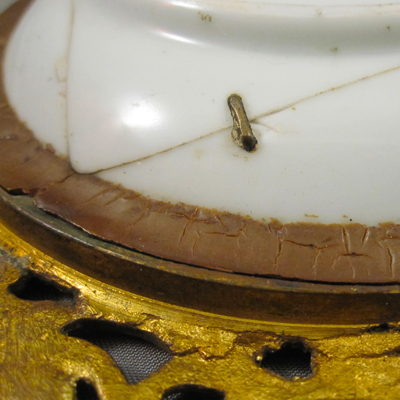 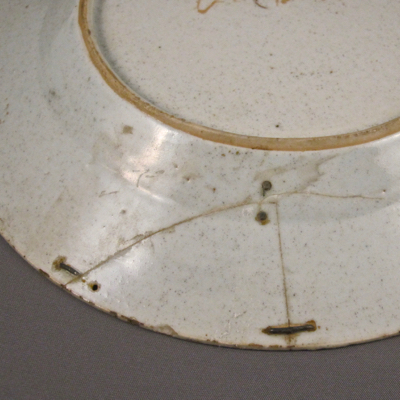 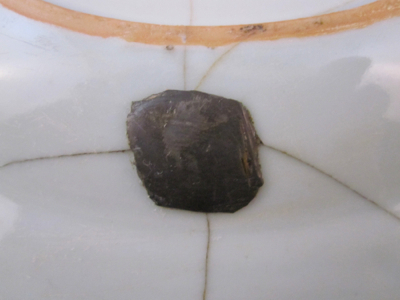 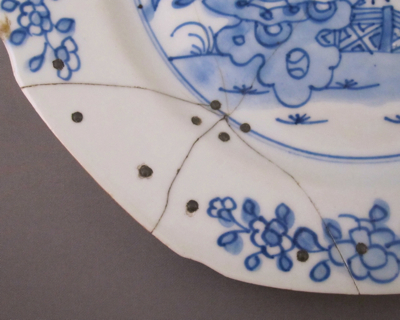 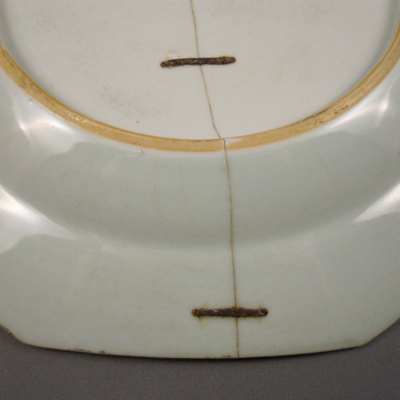 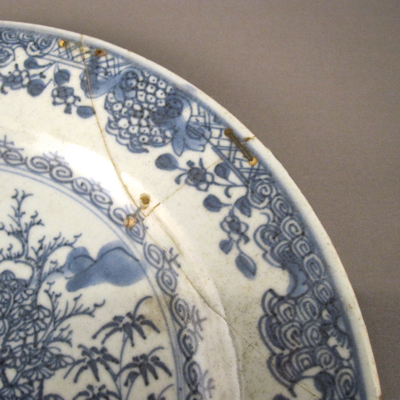 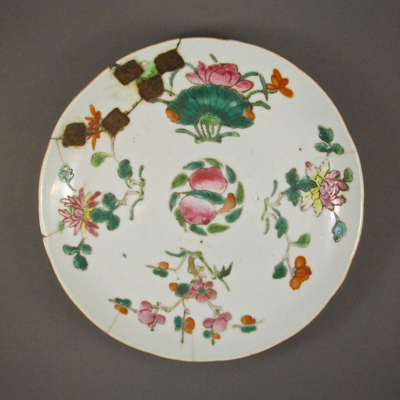 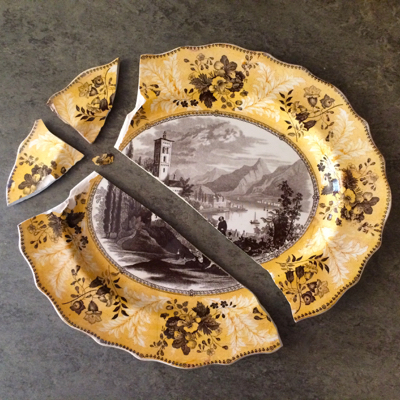 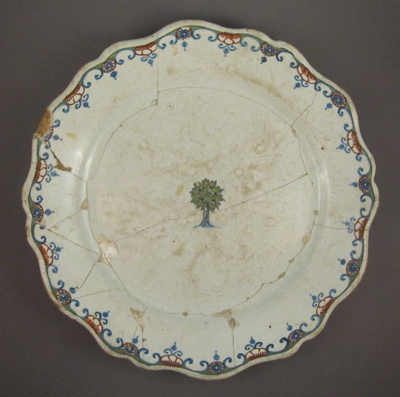 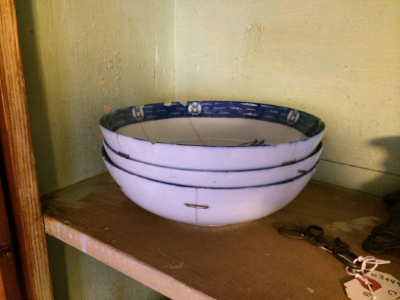 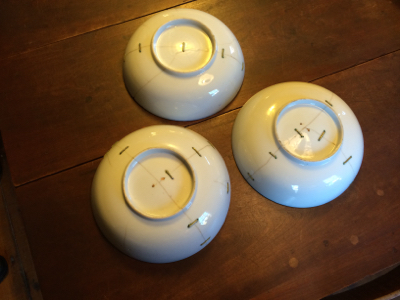 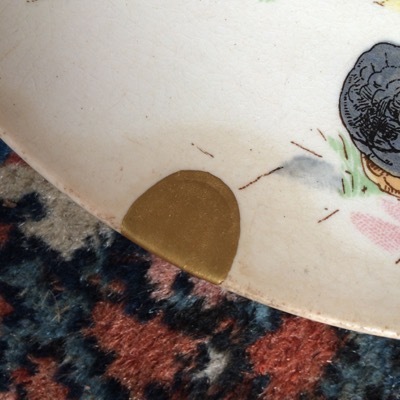 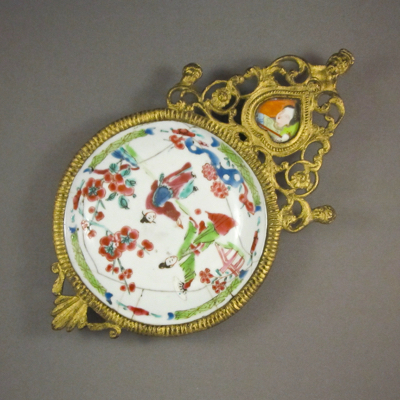 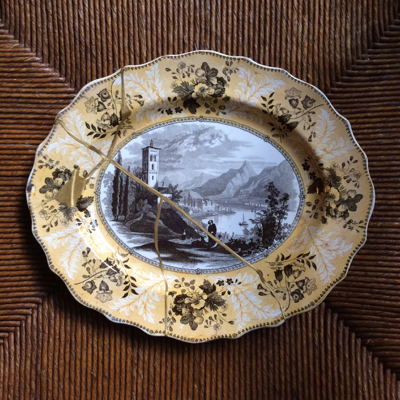 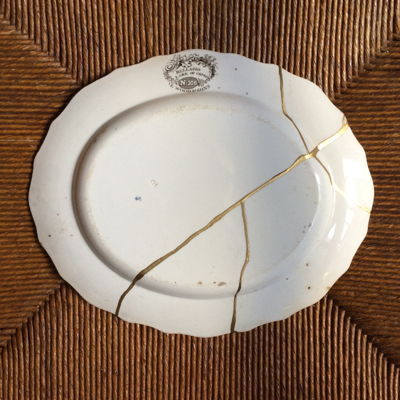 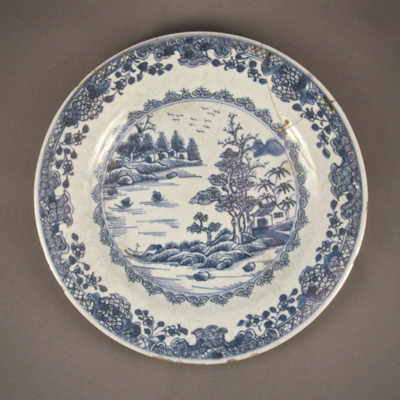 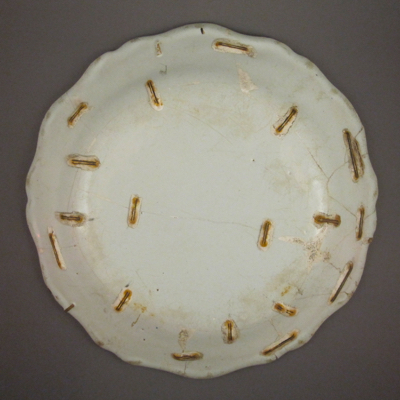 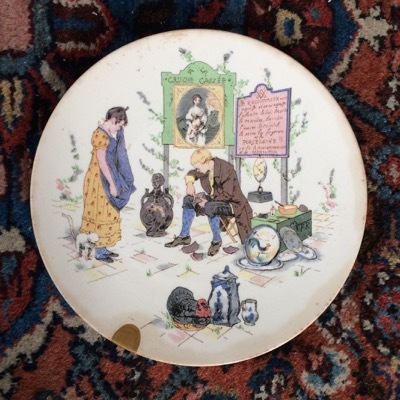 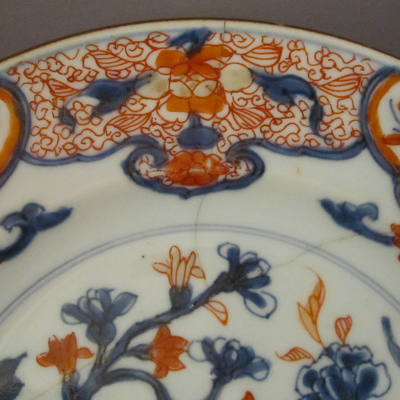 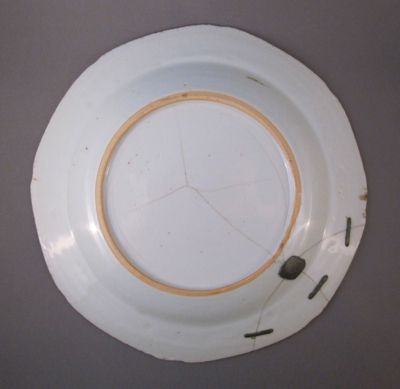 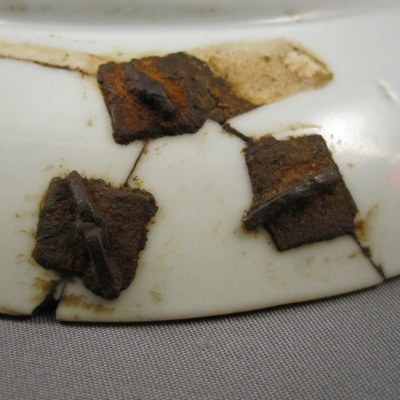 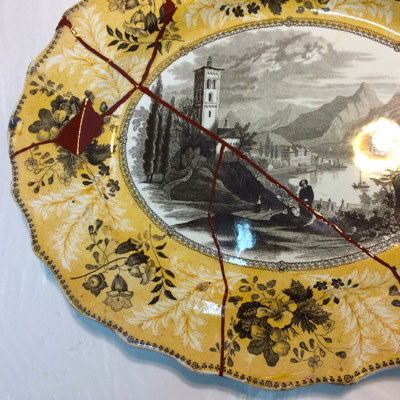 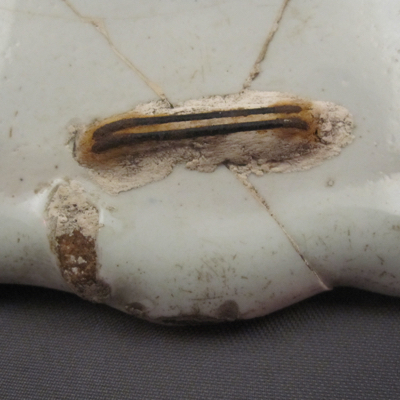 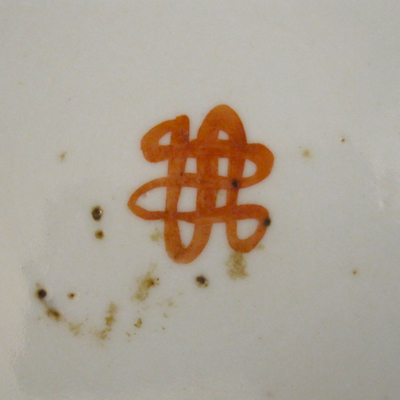 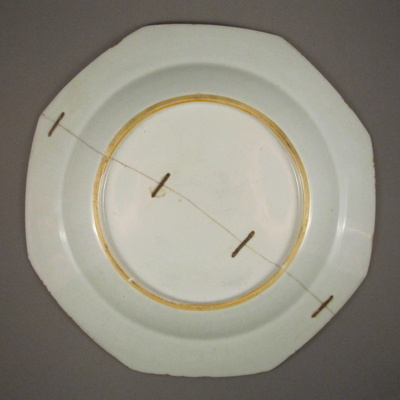 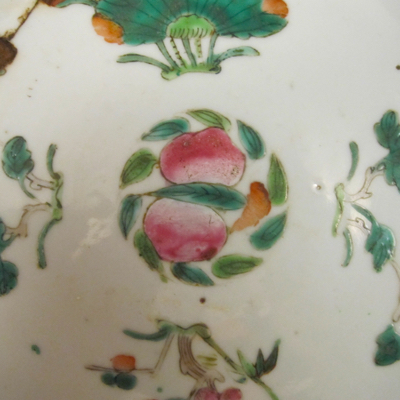 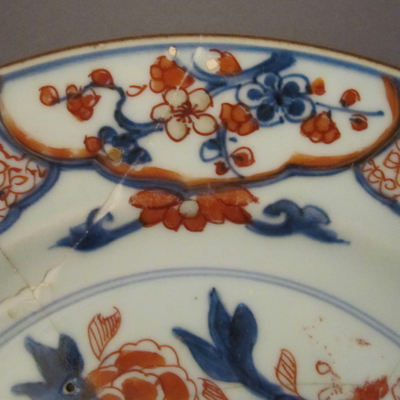 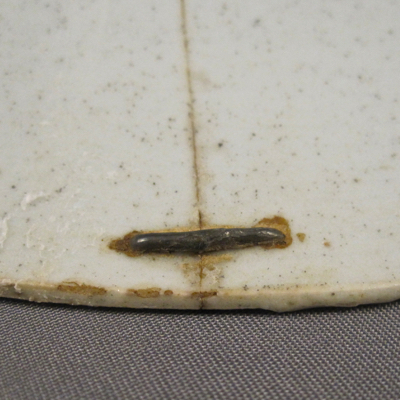 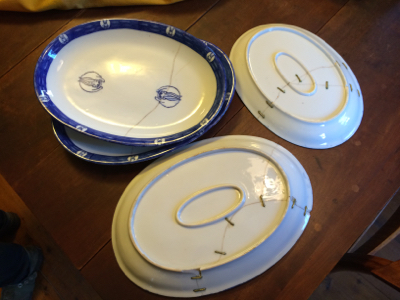 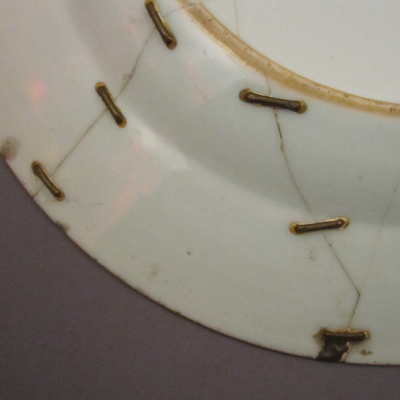 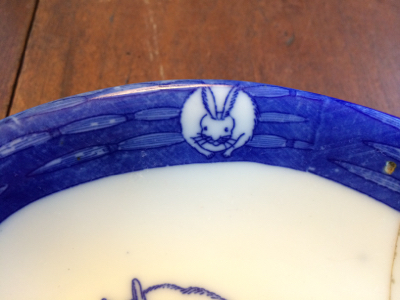 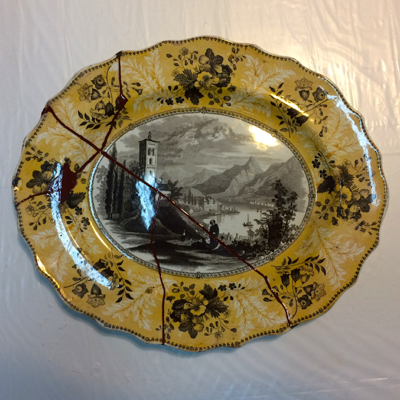 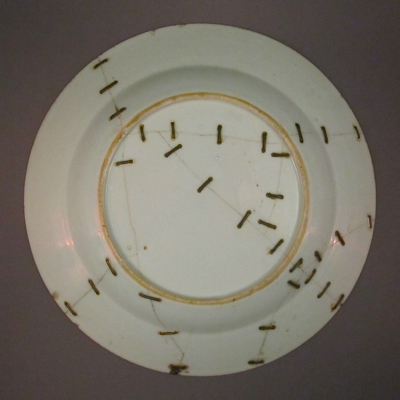 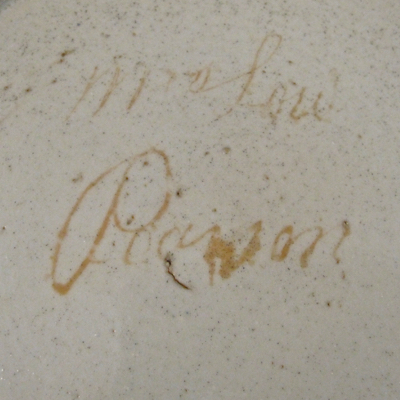 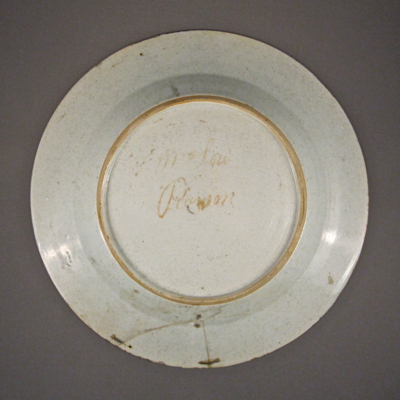 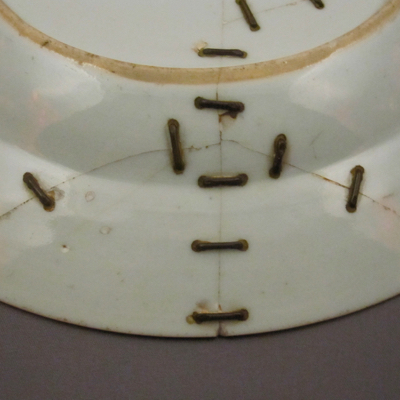 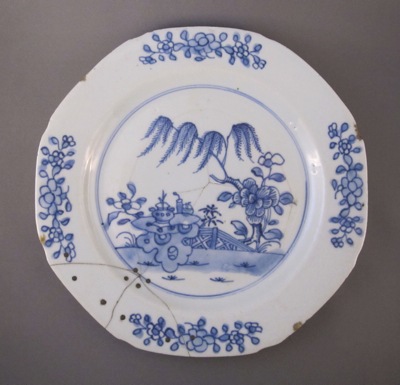 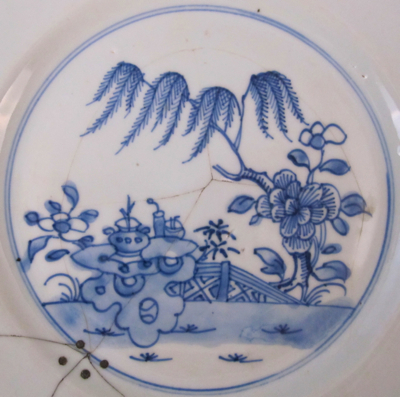 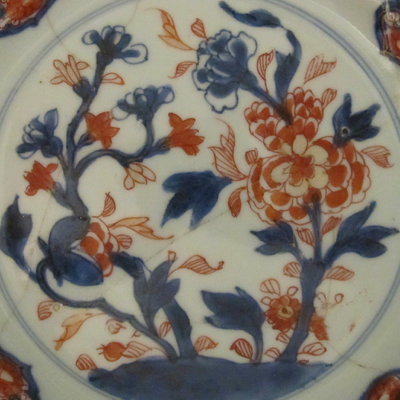 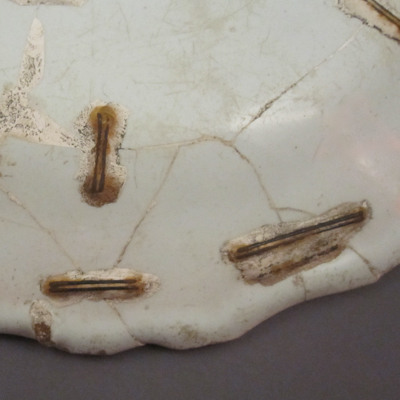 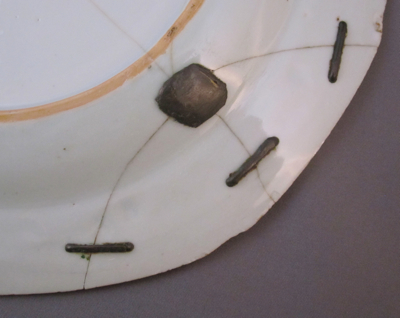 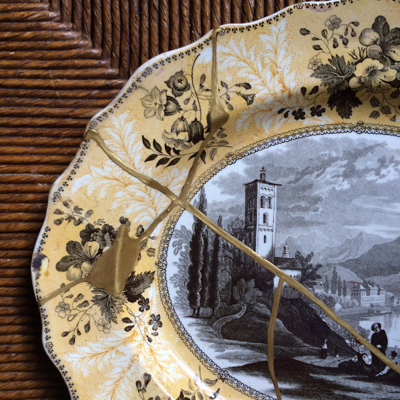 After this once broken plate was repaired with 4 sturdy metal staples over 200 years ago, it was most likely weeded out from the rest of the set later in its life by an antiques dealer who didn’t want imperfect pieces mingling with untarnished ones. 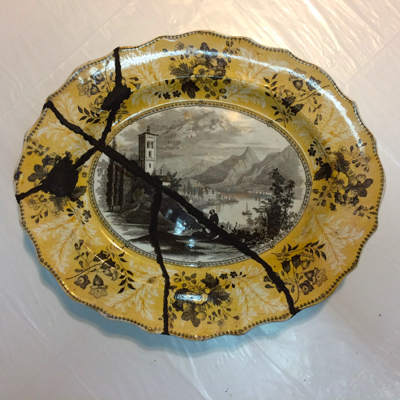 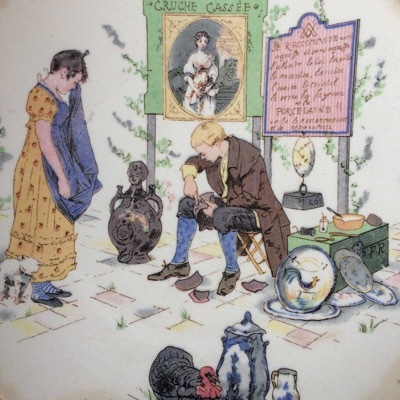 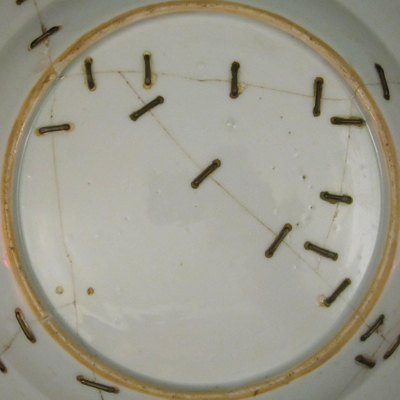 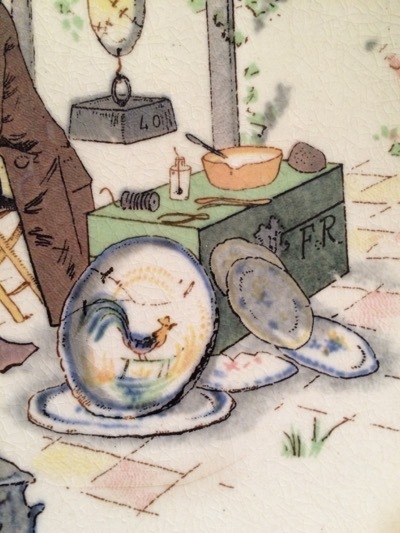 I found the plate at a small antiques fair in London a few years ago and brought it back with me to New York City, where it now coexists with other former orphans, each scarred but accepted for their imperfections. 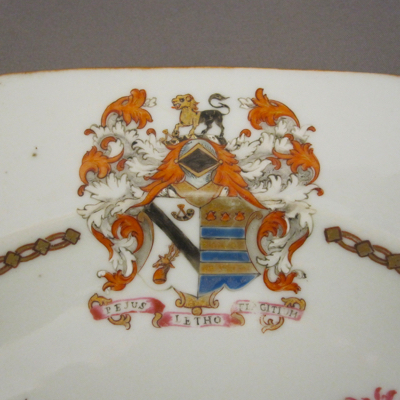 “The arms, beneath a knight’s helm, are of Shard of Horsleydown in Surrey, Argent a bend sable, in chief a bugle horn of the last in base a stag’s head couped proper attire of the third; crest, A lion passant per pale or and sable guttee counterchanged, resting the dexter paw on a bugle horn of the second; impaling Clark of Sanford, Azure two bars or, on a chief of the last three escallops sable (see Clarke P22); motto ‘Pejus letho flagitium’ (‘Disgrace is worse than Death’). 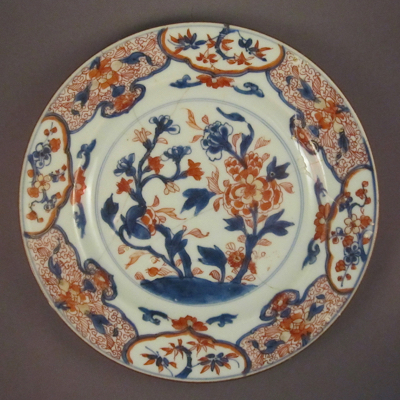 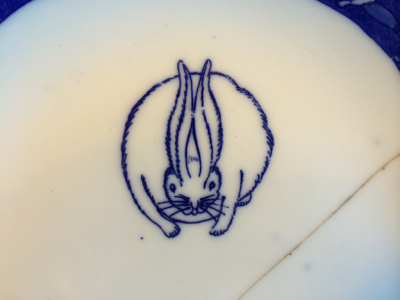 This large serving platter is from the same dinnerware service as my plate. 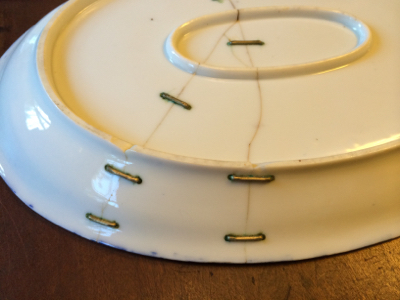 Too bad it doesn’t have early staple repairs.